We like to thoroughly connect with our Conid owners. Even though we do not own any stores, we aim to personally approach our owners as much as we can. We also regularly try to attend several local pen shows in order to meet up with our enthousiast and answer all of your questions. However, attending these shows is often quite difficult, as they mostly take place on the other side of the world. Nevertheless, we are very proud to announce that Conid will attend the forthcoming Colorado Pen Show in Denver, taking place on October 5, 6 and 7 of 2018, albeit in a very special way. Conid owner and fountain pen enthusiast Al Shinogle will represent Conid and host a little display with a small sample of our fountain pen collection at the show. 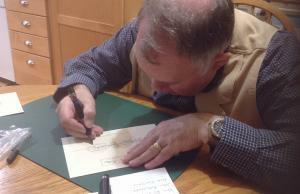 Next to that, Conid wants to make a link to Master Penman Michael Sull, America’s foremost living Spencerian penman. Sull is recognized internationally as a leader in handwriting instruction and America’s foremost publisher of handwriting materials for primary education. Michael Sull is an IAMPETH master penman and author living in Mission, Kansas. An expert on penmanship, he was Ronald Reagan’s calligrapher after his Presidency and is known worldwide for his skill and teaching ability. 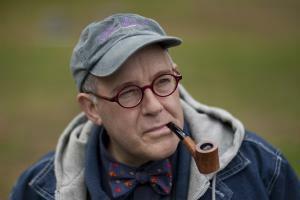 He regularly teaches handwriting, calligraphy, and engrossing programs throughout the United States, Europe and Asia. 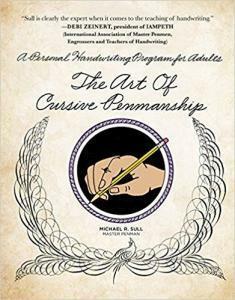 Unlike traditional primary grade handwriting manuals that seek to introduce the basic techniques of written language to young students, The Art of Cursive Penmanship presents the subject of handwriting as a valuable and spontaneous skill for the adult. In this context, it remains an intimate ability of communication and expression; a personal asset for life. Equally passionate as Michael Sull by the art of exquisite handwriting is Jozef Cavens, a former first grade teacher who devoted his career to teach children how to read and write with a fountain pen, but also collected nearly a hundred spelling booklets with cursive handwriting from all over the world. He recognizes that your writing reflects who you are, and that the tradition of handwriting should be passed on. In honor of Jozef Cavens and his effort, Conid designed the Cavens Pen: a special edition of the Slimline model in the Bulkfiller collection, which will also be displayed at the Colorado pen show. Next to that our entire collection will be visible and tangible as well. We hope that Conid owners visiting the Colorado pen show could meet up together and enjoy Sull’s workshops as well as our little display and the demonstration provided by Al Shinogle. We are very happy and honored that our owners are willing to represent our Bulkfillers and spread the Conid philosophy all around the world. 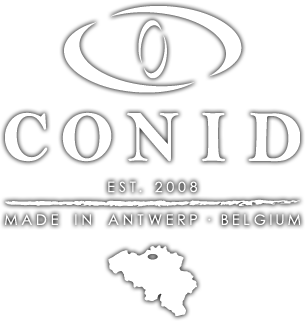 Furthermore, Conid would be very pleased to support similar future initiatives of Conid owners as well. Michael Sull is doing all the Conid team names in Spencerian using a CONID pen. Thank you Michael and Al !